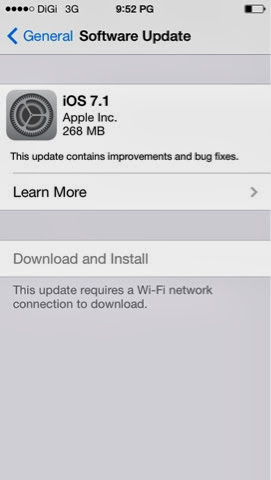 Semalam scroll TL twitter nampak ada orang update bahawasanya Apple ada keluarkan ios 7.1. Jadi, apa lagi hehe. 1. Now SIRI knows when to stop listening. 2. Set camera to take great pictures. 3. Updated look and feel. 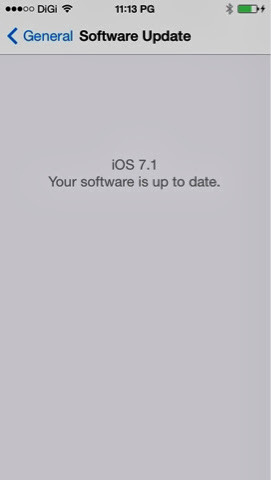 to the ios 7 interface. 4. See calender events better than ever. Bug fixes and other improvement juga for this new ios 7.1 which is touch id fingerprint recognation is improved & occasional home screen crash bug has been fixed. Upgrade sudah, hehe tey belum nanti kasi review okeh hehehe.